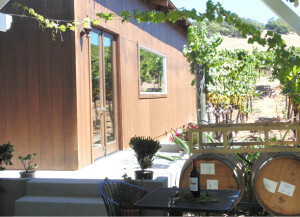 JW Vineyards is a family owned and operated vineyard started by Jimmie Wong in 1995 by planting vineyards to grow robust high quality grapes to produce premium wines. 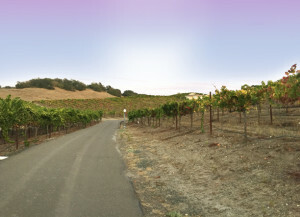 The vineyard is set in the sprawling hills in Santa Rosa near the Russian River in Sonoma County. Up until about 5 years ago, JW Vineyards supplied the grapes to leading wine making companies like Kendall Jackson and Beringer. 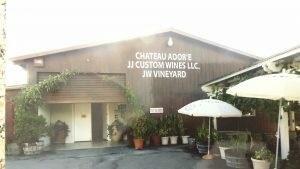 When the market for bulk grapes and growers became very challenging, Jimmie decided to begin making his own wine under the labels Chateau Adore for the emerging China wine market. The wine was made in small vintages to find the right balance to pare with Chinese foods, which have a wide variety of tastes, from savory to spicy to sweet. Our wine is very drinkable with distinctively unique bouquet. We have been selling our wine in Hong Kong, Guangzhou, Shanghai and Greater China under our customers own private labels. Now, we want to broaden our reach and began selling our wines locally first in Northern California, primarily to specialty markets, and restaurants. We feature Chateau Adore brand of wines made from grapes grown in our vineyards in the Sonoma County area. These wines are made with an attention to every detail to produce the highest quality wines that offer value and good taste. We also feature L’Amanda Hills wines made from grapes grown from the Sonoma and Central California regions. We provide responsive, professional and conscientious service to our clients with all inclusive pricing and a staff dedicated to producing the highest quality premium wines. The demands of producing a boutique wine brand are considerable. JJ Custom Wines eliminates production headaches and gives our clients peace of mind allowing them to focus on marketing. We have an extensive transportation and distribution network and provide our clients with outstanding customer service. We can deliver wine to any part of the world. We have strategic alliances with several well–established wineries and custom crush facilities in the Sonoma County area. These facilities offer state of the art wine making equipment and knowledgeable wine makers. We offer a complete wine making solution to meet your needs at the right price points to bring the best value to your customers. Jimmie Wong, President – Over 30 years of experience in sales and marketing and business development in US and Asia. Jimmie has a vineyard located in Santa Rosa, California and sells his grapes to many leading wineries in the Sonoma Russian River area. John Wong, General Manager – Over 20 years of finance experience, working with companies involved in international trade and finance. John manages the operations, logistics, and finance for the company. Joe Otos, winemaker, over 20 years practicing his craft and with many outstanding wines and awards, makes wine that has bold flavors, yet balanced. He has extensive experience producing a wide range of varietals from all Sonoma County appellations. 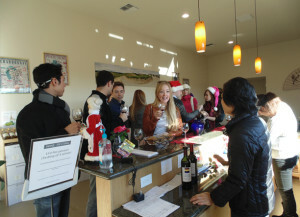 Joanne Lee, Tasting Room manager and private label manager, responsible for managing the day to day operations.